Join us for a special pool party! 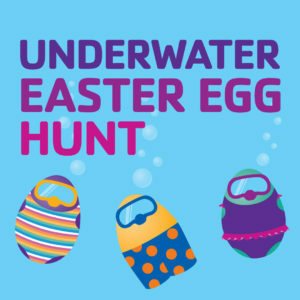 We will be hunting for submerged Easter eggs and those who collect winning eggs will go home with prizes! Join a relay team and take part in the Great Just Add Water Egg Race as well! So that we can better prepare, preregistration is required. To do so, just call the store. Admission is $20/person. Please be sure to call ahead to reserve any rental equipment you will need. Got questions or would like to register? Give us a call! Can't wait to see you underwater.